Have you ever heared of magnetic nail polishes? I hadn't until recent when I got some as a gift. I was very excited about this product, I didn't know how it worked or what effect they would bring. I did some research and found some more information about these polishes. 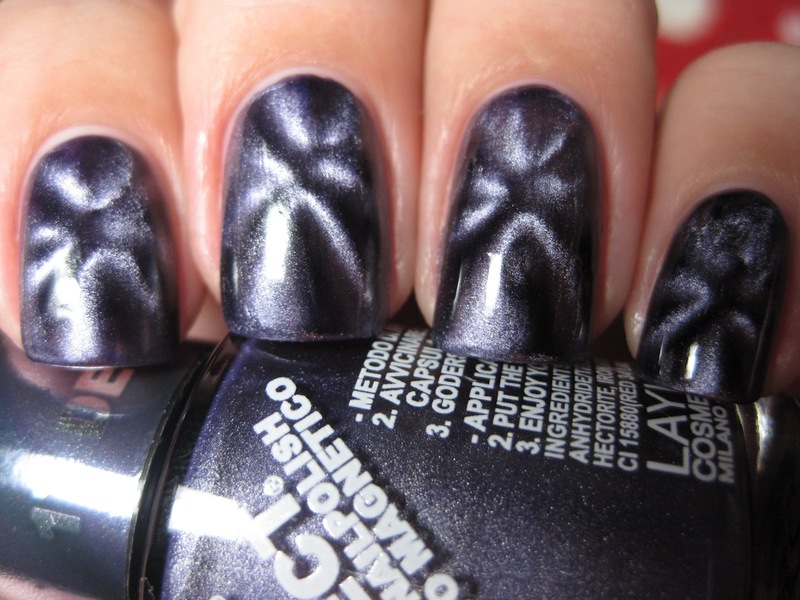 Magnetic nail polishes are developed with metallic particles. When these get activated, by holding a magnet close to the freshly polished nail, the iron powder in the formulation gravitates to the magnet. A pattern on the nail will appear. It is possible to use different magnets to get different effects. 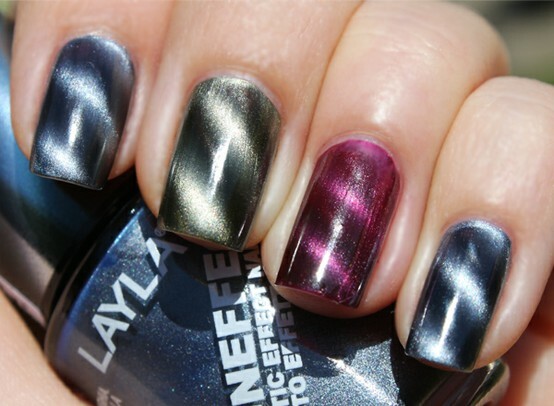 These are the two Essence magnetic polishes I got, a red and a dark blue color. I also got the Essence magnet with it, that you put on a finger to hold it over your polished finger. You need to paint every finger individual and hold the magnet above it right after. So don't paint all your fingers and then use the magnet, because when your nails are dry it won't work anymore. Uhm yeah, not much effect... You can very slightly see some faded stripes, but not how I expected it to be. That's why I wouldn't recommend this product because the magnet doesn't do the job it promises. I think it's not strong enough to attract the particles in the polish. However I do like the colors and textures of the nail polishes. Especially the red one which covers in one coat completely. Yes for the nail polishes, which are € 1,89 or $ 2,50. But no for the magnet, which is the same price.